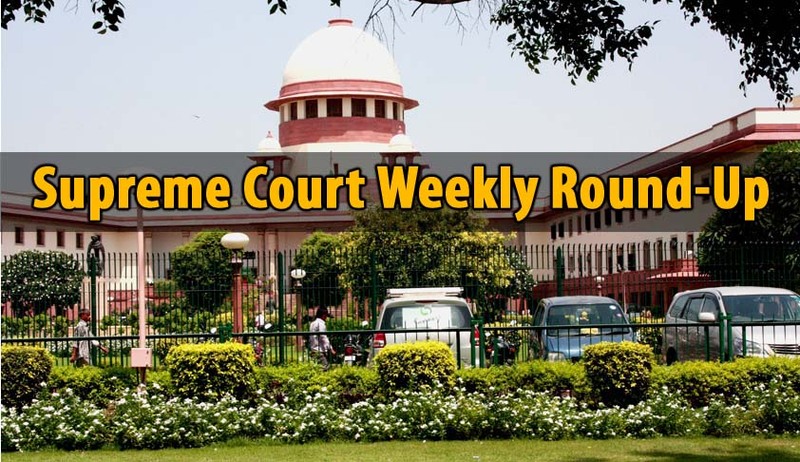 The Supreme Court Registry issued a notice on Tuesday reminding all the Advocates appearing in a batch of Cases relating to Entry Tax, to file their respective submissions/compilations to Senior Advocate Harish Salve as well as to the Court. The matter is listed for hearing before a Nine Judges Bench in the week starting from 18th July. It is also informed that in view of the Court’s Order dated 11th May, 2016 no adjournment will be given in the matter. The Vacation Bench of the Supreme Court held that an order of cut in pension was permissible after a person reached the age of superannuation. The Bench allowed the Appeal filed by State of West Bengal against a Calcutta High Court order in which it was held that once an employee is allowed to retire on attaining the age of superannuation, the concerned authority has no jurisdiction to pass an order in a disciplinary proceeding since the master-servant relationship cannot exist after retirement. The Vacation Bench of the Supreme Court quashed an Order of Labour Court dated 22.10.1997 directing to reinstate a Conductor, who was terminated by UPSRTC for misconduct, along with entire back wages holding that the punishment awarded him was excessive.